I usually try to translate cultural references as I go along. I know that I have literally several readers in America, and it worries me that they may not know that "the tube" is "the subway" or that "pavement" is another word for "waistcoat". It's a good exercise. Assumptions, as a very wise man once said, are things that you don't know you are making. Everyone in England instantly understands that "bobby" means something different from "policeman" and that "Tory" means something different from "Conservative", but it's hard to put into words what that difference is. The Union Jack "means" Britain, and the Stars and Stripes "means" America. I am pretty sure that the Union Jack means something different to a British person from what the Stars and Stripes means to an American, but I couldn't articulate what. Nor cold I articulate why I chose to write "British person" rather than "Briton" or "Brit." So, before moving onto the one in the flat, I need to ask: what is the American cultural equivalent of "Marmite"? I remember an article in a Doctor Who Appreciation Society fanzine: TARDIS, maybe, or Celestial Whatnot. It was probably by Jeremy Bentham who I don't think ever really concealed the fact that William Hartnell was "his" Doctor. (There was much less history in those days.) He took it for granted – all fandom agreed with him – that what was then "new" Who, the Phillip Hinchcliff seasons were an appalling travesty; nothing at all to do with the Doctor Who we grew up with, and quite open about the fact that it wasn't meant for children any more. (Whenever you see an episode of New Who that you aren't quite convinced by, remind yourself that what you feel is mild compared with the sheer, visceral hatred that the President of the Doctor Who Appreciation Society directed at the Deadly Assassin.) But Bentham didn't think that fandom was being quite fair. Granted, seasons 12, 13 and 14 had nothing very much to do with the series we all loved: granted all this horror imagery was more suited to a Hammer Horror movie than Doctor Who, granted Robert Holmes had wrecked the Time Lords irretrievably. But at least Doctor Who was still travelling round the universe in a TARDIS. So fans were faced with a Dilemma. Embrace the new series, or give all your love to the early seasons: Hartnell and Troughton and Pertwee. Well, Hartnell and Troughton. But if we choose to stay behind in the past we may very well regret that staying until etc. etc. etc. So now it comes: the parting of the ways, the day of choice that we have so long delayed. Does it bother you that the Thing At The Top of the Stairs made absolutely no sense at all, didn't even pretend to make sense and was in any case the product of a Blue Peter "design a TARDIS interior" competition? Leave. Leave now. Doctor Who is no longer your show. And that's fine. It's okay to find it ridiculous when fat ladies who sing when they should be talking claim to be 15 exactly, when they are obviously 53 if they are a day. It is ridiculous. So stay away from the opera. Your hour will come round again. 40 years from now the widening gyres will bring in a world where Inferno and Ambassadors of Death are the latest word in modernity. Until then, there must be no regrets: just go forward in all your beliefs and prove to me etc. etc. etc. You are so not meant to be looking at the wibbly wobbley timey wimey thing at the top of the stairs. You are so meant to be looking at the Doctor and Craig and Sophie. Well, at Craig. What if Dr Who came to my house? 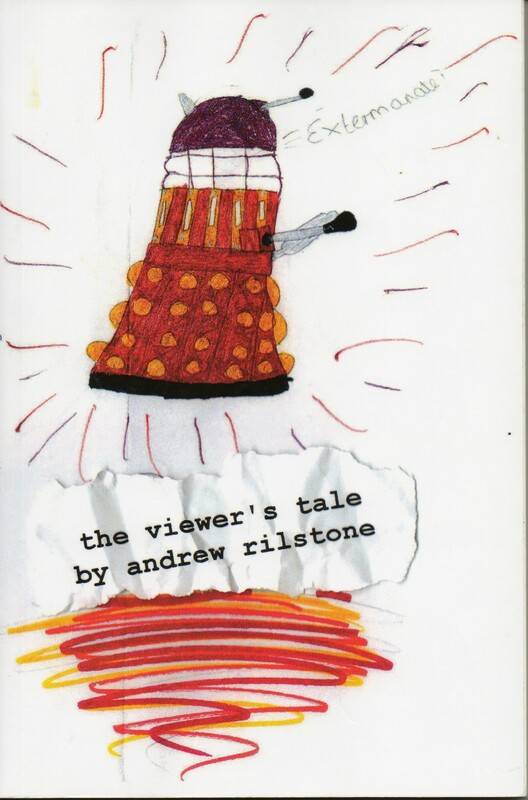 If you have enjoyed this essay, please consider buying a copy of The Viewers Tale or Fish Custard which collects all my writings about Doctor Who to date. Alternatively, please consider making a donation of £1 for each essay you have enjoyed. I don't think we have an equivalent to Marmite. The Dallas Cowboys if you're a football fan (by which I mean American football, not unAmerican football), perhaps. I think most Americans think of it as "Vegemite" and associate it more with Australia...if they know of it at all. Otherwise, the correct answer is "industrial-strength road tar". They've only heard of Vegemite because of that Men at Work song and they still have no idea what on earth it is, except that Australians put it on bread. That's why I said the Dallas Cowboys. "In the 1970s, everyone sat round the television and watched Frank Bough and Bruce Forsyth, spreading butter and the Dallas Cowboys on their crumpets." ...okay. ii) was a guess! It's not a very good example because if you're in Dallas, obviously you'd be a fan. And if you're from New York or Philadelphia, where their biggest rivals are located, obviously you'd hate them. However, they are an odd team because they have tons of fans from nowhere near Dallas and everybody who's a fan of the sport who isn't a fan of theirs, really hates them for no reason I can discern. (Actually, I think the hatred is a response to the inexplicable popularity of the team nationwide and the Cowboys' self-proclaimed "America's team" label.) It's natural that the New York Yankees in baseball should be a love 'em or hate 'em team (as they are), because they're by far the most successful baseball team in history. The Cowboys have always been good, but have nothing like that level of dominance (the Pittsburgh Steelers have won more Super Bowls) so their "love 'em or hate 'em" quality is essentially inexplicable. I tried to think of a food example, but I can't think of one which isn't primarily regional. There are some foods in Southern cuisine which nobody outside the South likes, but they don't tend to hate them or anything. So if I was American, I might spread Manchester United on my toast? I can't imagine putting either team on toast. I'm your other Canadian reader, and I don't think there is an American equivalent to Marmite. The only Americans I know who had a clue about it were a couple who had lived in England for awhile, and introduced it to their children (who loved it, by the way). I suppose they found some specialty store in Washington DC that carried it. Even in Canada, with our British heritage, Marmite is rather uncommon. And I've taken your advice re: Dr. Who. This isn't for me. Too much about the girl and her mating anxieties; it's Coronation Street In Space. Maybe in another 10 years it'll be something I'll enjoy, but it's pointless to watch a show just to sneer at other people's enthusiasm. I learned what "Marmite" meant reading Doctor Who forums. Also; the Blue Peter contest winner thing is to appear next year, presumably. I think Paul McGann accidentally parked his Tardis above that fellow from Gavin and Stacey. I don't think there can be an American cultural equivalent. Marmite can't exist in the American culture: it's something that very few people admit to strongly liking, a larger proportion are indifferent to, and the rest can't stand it. And yet EVERYBODY not only has a jar, they have a half-used or nearly empty jar. 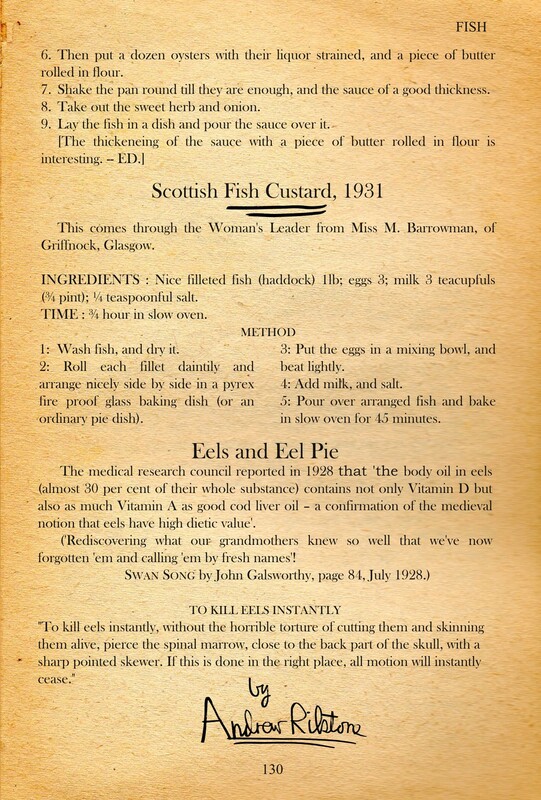 Marmite is the culinary equivalent of The Beano. It cannot exist in the same cultural landscape that brought forth Fluff. Oh, by the way, I meant to say that the article you remember was by Jan Vincent-Rudzki who was president of DWAS at the time, not Bentham though he's a very good guess. See this video. Rereading, you might have actually been referencing two entirely separate reviews, now that I think of it. Mea culpa. I'd suggest Cheez Whiz if you're sticking to spreadable food stuffs. Also, if instead of "the Doctor" you could use "the Primary Care Physician" I'm sure that would clear things up immensely for us Yanks.